A California cleaning woman was left clinging to life Monday morning after she was attacked by a large swarm of bees that “covered her from head to toe,” in an attack so severe, rescuers skipped protocol during their response. 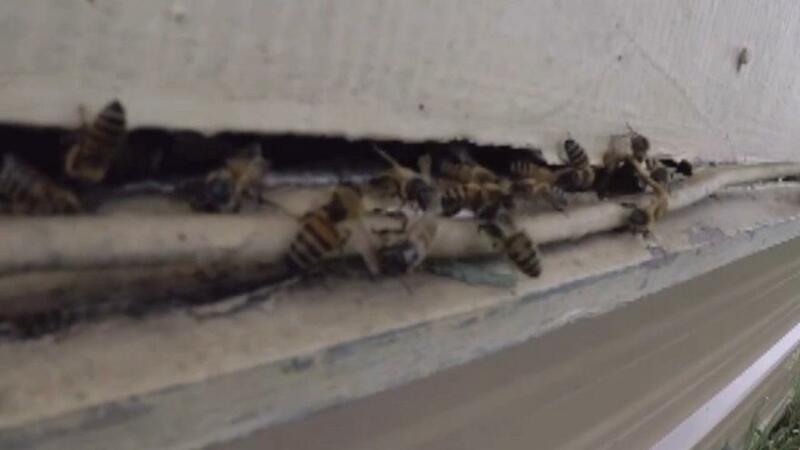 The woman, who is in her mid-50s, was stung hundreds of times by the large swarm outside a Southern California home. "When you get somebody stung hundreds of times, [bees] injecting that venom, you&apos;re gonna have a serious issue," Fire Capt. Tony Bommarito told NBC Los Angeles. "Anybody, allergy or not, is gonna be in serious condition after that." Orange County fire officials said four firefighters also were stung at the Lake Forest home. She was reportedly attacked when she went out to her car to get something from the trunk. The hive was hidden by bushes. First responders did not put on protective gear before grabbing a carbon dioxide fire extinguisher and using it on the bees. A few firefighters were stung in the process, including two who were hospitalized.